Another analyst is stepping up to bat with his predictions on the rumored touchscreen tablet from Apple. Trip Chowdhry of Global Equities Research claims hearing the tablet will sport an 8- to 10-inch OLED screen and an ARM Holdings dual-core Core9x chipset. He believes the device will cost $900 and ship first quarter of 2010. That differs a bit from past rumor reports where anonymous sources have told other publications that the rumored tablet would cost between $500 to $700 with subsidy from a carrier and ship as soon as fall of this year. (For our collection of earlier rumor reports, see the links below.) Particularly interesting is the idea of an OLED screen. Is it necessary? It would add to the product’s overall cost, but one could imagine it would help distinguish this rumored device from Apple’s iPod Touch. Take this rumor with a grain of salt, like any Apple prediction provided by an analyst. (MacRumors’ Arnold Kim wrote an insightful post about analysts and rumor “research” back in 2007; it’s worth checking out.) Chowdhry, like many analysts, has often missed with his guesses. For instance, he predicted that by January 2009, Apple would sell iPhones for $150 at Costco. Stee-rike! Still, nobody beats Piper Jaffray analyst Gene Munster when it comes to making ballsy, borderline crazy Apple predictions. Last week, Munster even made an estimate that this unconfirmed device would sell 2 million units, generating $1.2 billion in revenue. Getting a bit of a head start, isn’t he? 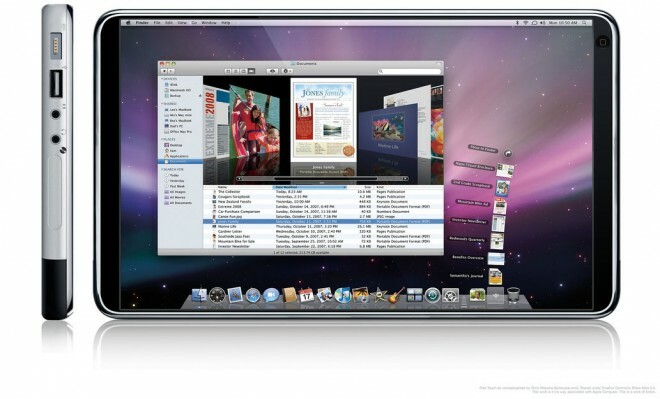 Check out the article “Apple to Offer $899 Tablet With OLED Screen?” from Barron’s. Posted by joetheflow on August 15, 2009 in Computer, News - crazy and otherwise, Stuff and tagged Apple, Computer, MAC, Rumor, Tablet.